The Patriots have largely stayed clear of involvement in either of Aaron Hernandez's two murder cases. That may change; Hernandez's attorneys have asked a judge to subpoena the Patriots for all of Hernandez's medical records during his time with the team. Well, nearly all of them. On Monday, the judge set a July deadline for the Patriots to respond to a previous request from Hernandez's defense team. 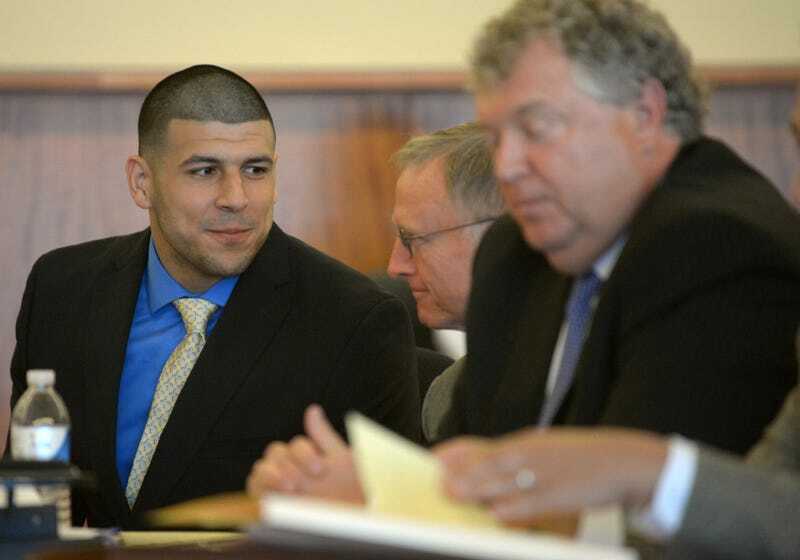 But Hernandez's lawyers filed a motion yesterday seeking a subpoena for the records ASAP. "The records maintained by the New England Patriots regarding Hernandez are potentially evidentiary and relevant in this case, in that they may bear upon his circumstances and state-of-mind prior to the alleged offense, as well as his physical and mental state at the time." The motion also includes a release form, signed by Hernandez, authorizing the Patriots to give up their records. Although, as noted by Ride The Pine, not every category gets a check mark.